The Truth About Rheumatoid Arthritis Info Will Be Told! I got some good news this week that I know will make you smile, too. Let me back up a bit. A few weeks back, the company which markets Remicade put up a new website about Rheumatoid Arthritis. It is a video series presented in a “talk show” format. It is highly polished and full of star power. The “host” is Deborah Norville. When I heard about it, I was eager and excited. A long time ago, I had read that Norville’s mother had died of RA. At one point, I had made an attempt to reach Norville for an interview, but had not gotten a reply. I hurriedly watched the video segments. However, my enthusiasm burst quicker than a cheap balloon. I sensed the presence of my arch enemy: the mythical RA. I could tell that the script writer did not understand Rheumatoid Arthritis. To me, the worst video was the one on exercise. You’ll never guess what they called it! Yep you guessed it: “Use It or Lose It.” When I first heard that, it was like the Grinch stole my Christmas. The big money goes into a slick presentation which contradicts what I know to be true? How can we ever get anyone to listen? I am just one blogger. I made my opinion of the video known those in charge. I tried to represent “the real RA” and what has been shared with me by so many people. They listened! Based on my input, they are making changes to the script of the exercise video. This is what they told me: “The new copy has been adjusted to be more reflective of varying levels of ability for people living with RA.” They sent me examples of the changes. They even changed the name of the video segment on exercise to “Stay Active at Your own Pace.” And they are taking my conversations with them into consideration as they draft new scripts future video segments. I will keep you up to speed on that. 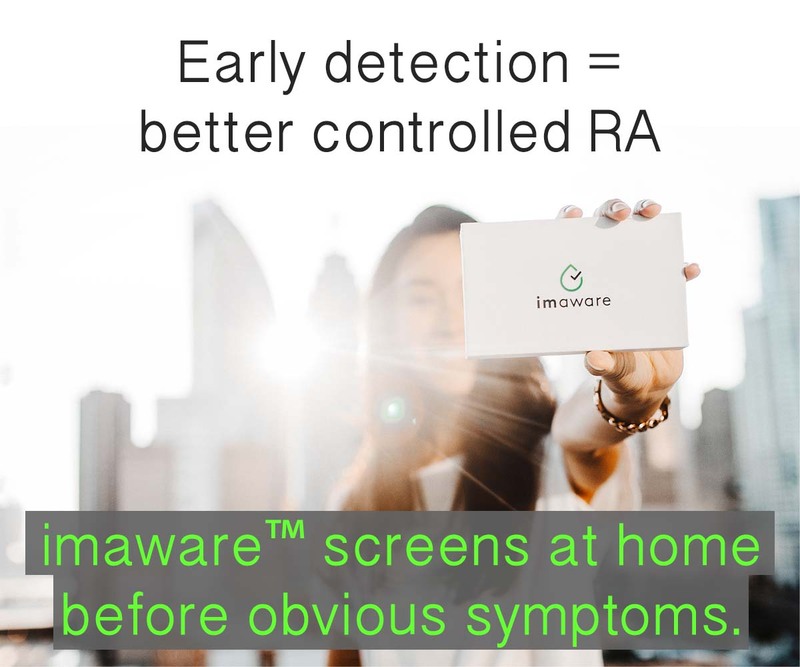 I know they have a way to go until their site reflects the same brutally accurate version of Rheumatoid Arthritis that you see on Rheumatoid Arthritis Warrior. But, this is a step in the right direction. And, even more important, it is proof that someone is listening. I know from personal contact that the social media folks at J&J take their outreach seriously. Enough so that they had me give a presentation on blogging and social media from the patient's perspective to their communications people last fall. I'm glad that you spoke up. I know when we speak up, we represent lots of others, too. 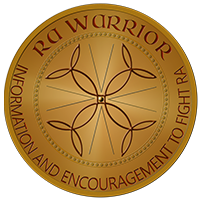 You may just be one blogger, but you are truly an RA Warrior! Thanks for standing up for all of us. You are amazing..keep it up. Do you think that they will add a forum? Or new material? I was thinking when they said talk show format they might have question and answer page. You are so cool. Like Liz said in her comment (FB), there are more of us… so we WILL be heard. 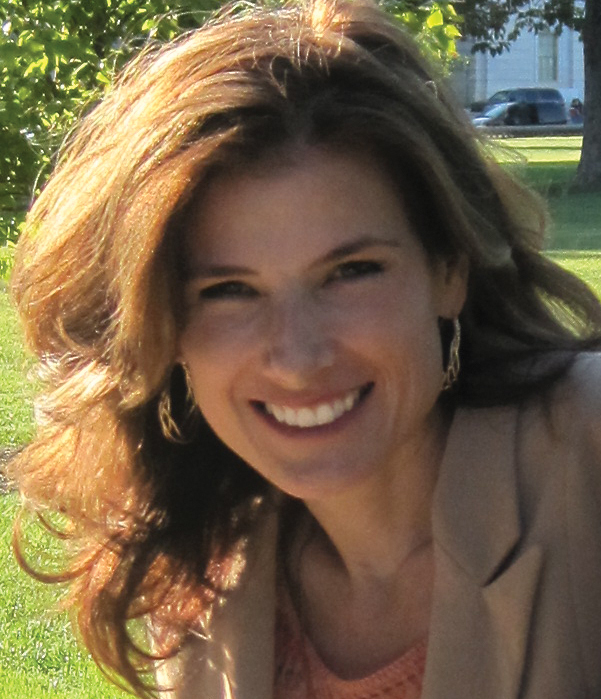 Kelly, thank you so much for being the voice of many. I just want to say that this is a great start about RA. It is so true that doing anything physical requires recuperation time. Something as simple as getting your blood drawn may require a nap when you return home. I have taken steroids and TNF inhibitors for years and I felt great……the outcome was adrenal and renal disease and early onset of macular degeneration. Now, I’m not 100% sure if these drugs caused it but funny I did not have it before all the trials of different medications which either had me vomiting, diarrhea, severe multiple infections, skin changes, severe hair loss…..to mention a few side effects! In the end I have learned to manage my energy, pace my self, found a great pain management doctor and support from my family. I refuse to take anymore RA drugs that suppresses and screws up my immune system and God knows what else it does. I refuse to take Rituxan because of the potential PML side effect which is not reversible and leaves you brain dead. I’m an RN and I still feel overwhelmed with the information or lack of information. Drug companies just want you to take their drugs…….but until there are safer drugs I won’t take them. Inform your family on how you feel, find a hobby, do your stretches and learn to listen to your body. I con’t tolerate 2 hours shopping only 30 min…..so I limit to 30 minutes. I pace myself otherwise I pay for it physically the next day or sometimes a whole week. If your depressed, which this can easily happen……find an outlet…..think positive as many are worse off than you…….take time to smell the roses and enjoy it…….talk to your doctor…….research what the doctors want to put you on…..make a list of questions and ask them. Personally, I found an outlet of painting which helped my depression and change of lifestyle. Also, try and find alternative ways of doing things. For example I loved walking my dogs but that became to difficult so I use my scooter to walk the dogs. They are tethered to the scooter and love it. They get out and get exercise and I get out and spend time with my dogs. I hope this helps. I am so happy that I found this information about exercise. I was diagnosed about a year and a half ago and I had been exercising prior to my diagnosis. Over the last 8 months I have been progressively getting worse, even with trying new medications. I had noticed that every time I exercised I would have more severe pain and inflammation and so much fatigue. It’s been wipping me out. I thought that I should just push through it. I’ve been feeling so bad about not being able to exercise but I know now that by continuing to exercise I am only hurting myself more. Thanks for all of the great information! This disease has several different patterns it can take – most have the same experience as you with activity making active disease even worse. Finding the right medication that helps to suppress your disease will be key. And when you do, you can work out the balance of rest and exercise to know what makes you feel best and most able to live your life. Like you, I was always a person who excercised a lot and I’d much rather be able. Hopefully we both will get there. 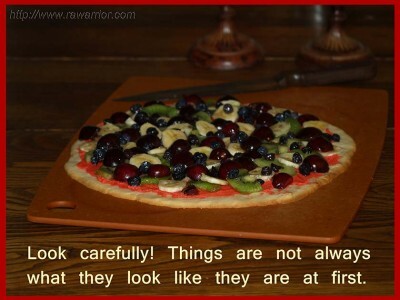 Sorry, it is a pizza. 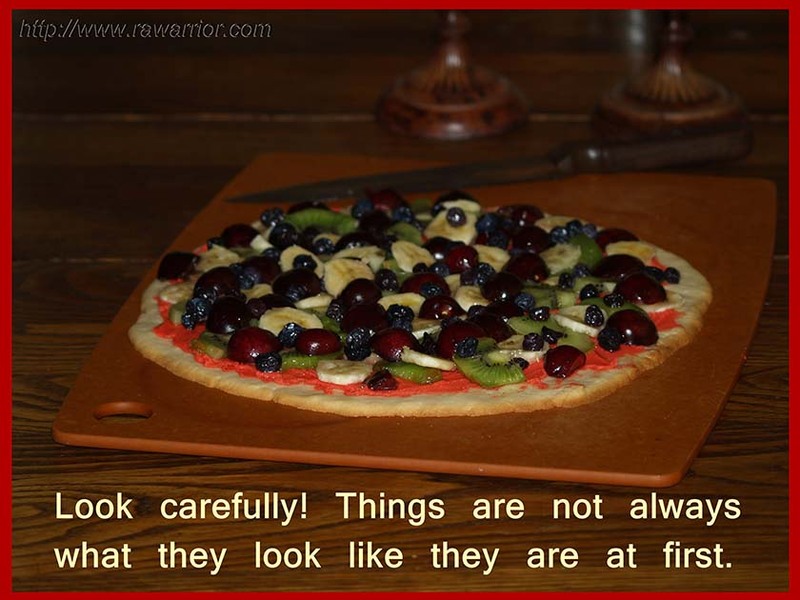 It might be a “fruit pizza” as the mame of the picture indicates, but it is still a pizza. P.S. I enjoy your site and I have had serum negative RA for many years. I have had RA for 8 years I am 44. I have taken myself off all my medicine as I didn’t like the side effects. I soak my feet every night in Epson salt. I do yoga 5 times a week and it helps. I can live with a certain amount of pain but I hated how the drugs made me feel. My Dr thinks I am crazy but the yoga is amazing how it helps, some days are really hard for me and my instructors know about my RA and other days are easy. I found the more I exercise the better I feel.